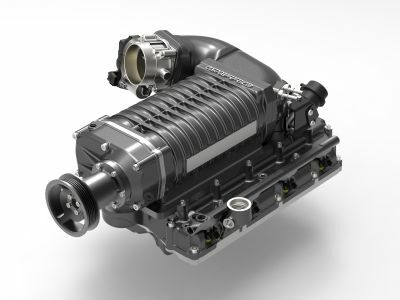 Since 1987, Whipple Superchargers™ have been the pioneers and leaders of supercharging domestic V8 engines. 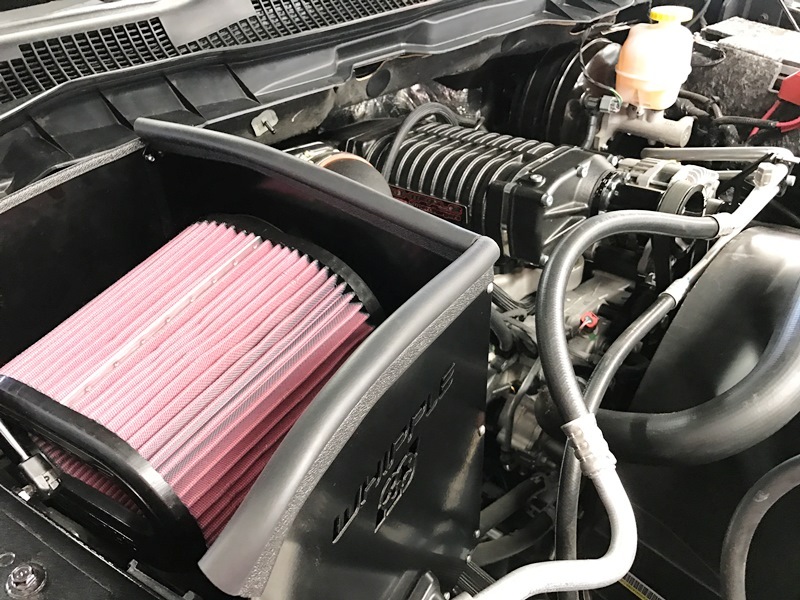 Whipple’s team have now engineered the most powerful intercooled twin-screw SC system available today for your Dodge V8 RAM engines. Featuring the new, 3rd generation Whipple 2.9L supercharger with an all new rotor profile and new high flow rotor housing to unleash even more power than ever before. 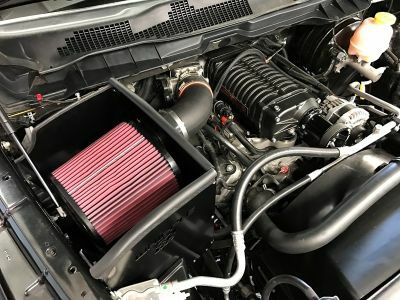 With all the latest technology, biggest SC, biggest intercooler, biggest heat exchanger, largest intercooler reservoir makes the all new system makes more power than any other positive displacement supercharger system on the market giving you tire frying, neck whipping power that will give you a grin from ear to ear. The new system is 100% complete and is designed for stock engines but has enough capability to work with heavily modified engines. 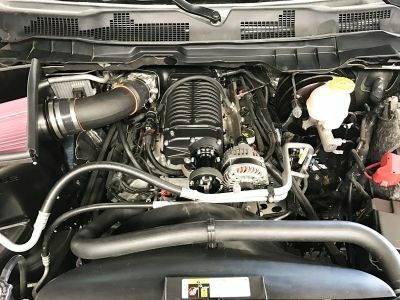 The all-new system features Whipple’s massive oversized air-to-water intercooler for unmatched cooling capacity, the massive 2.9 liter Whipple twin-screw supercharger that reaches 99% volumetric efficiency, 102mm built in inlet, high flow intake manifold and industry leading power potential. The unique bypass system offers less than 1hp of consumption during cruising for excellent fuel economy. 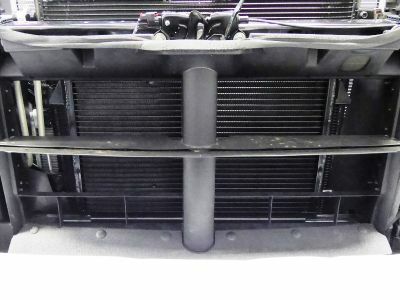 The system also includes high-flow fuel injectors, SCT X4 flash tool with calibration, oversized heat exchanger, high flow intercooler pump and unique intercooler water resevoir. While others claim, Whipple Superchargers simply deliver more power per pound of boost than any other supercharger on the market today. 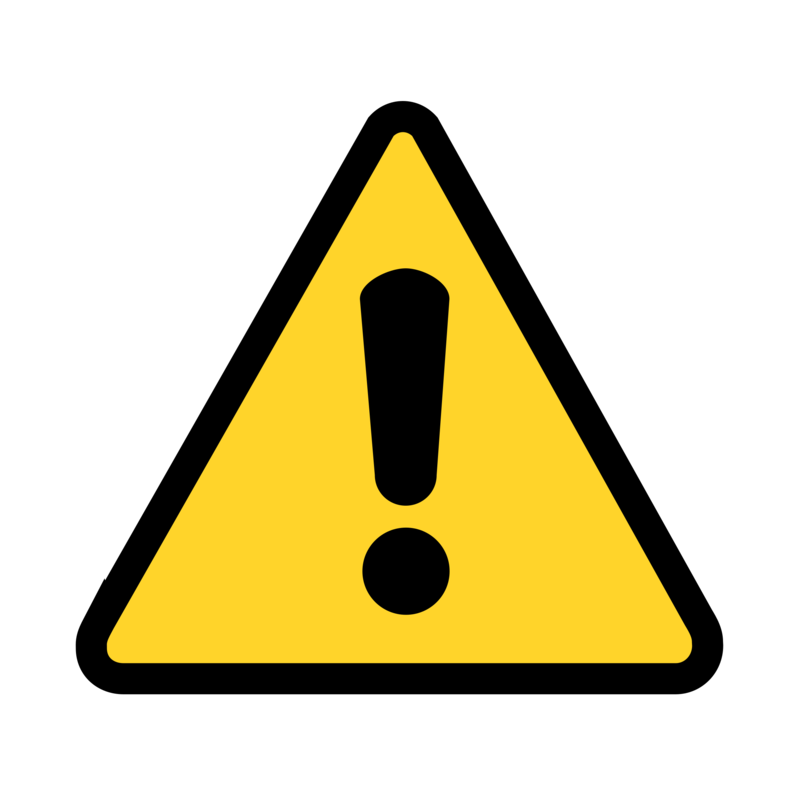 *Model years 2015-2018 and up require unlocked PCM's. Factory PCM's must be purchased or unlocked by HP Tuners (www.hptuners.com). 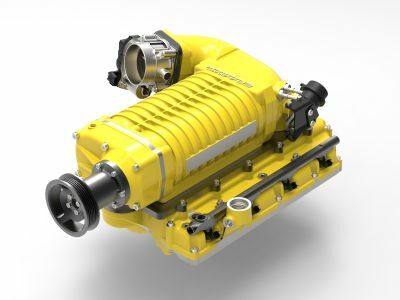 While others “claim” to be leaders, the truth is simple; Whipple Superchargers are the true pioneers of twin-screw supercharging. Since 1987, Whipple has led the industry with innovation after innovation. Whipple has more experience in supercharging applications than any other twin-screw or Eaton based positive displacement supercharger manufacturer. 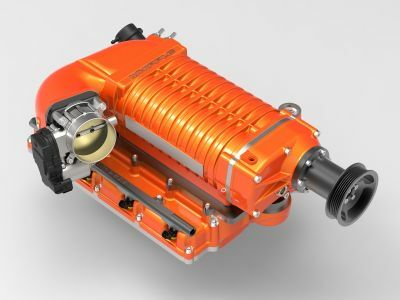 Whipple Superchargers brought the twin-screw supercharger to the US automotive market and has pioneered the “bolt-on” supercharger business. 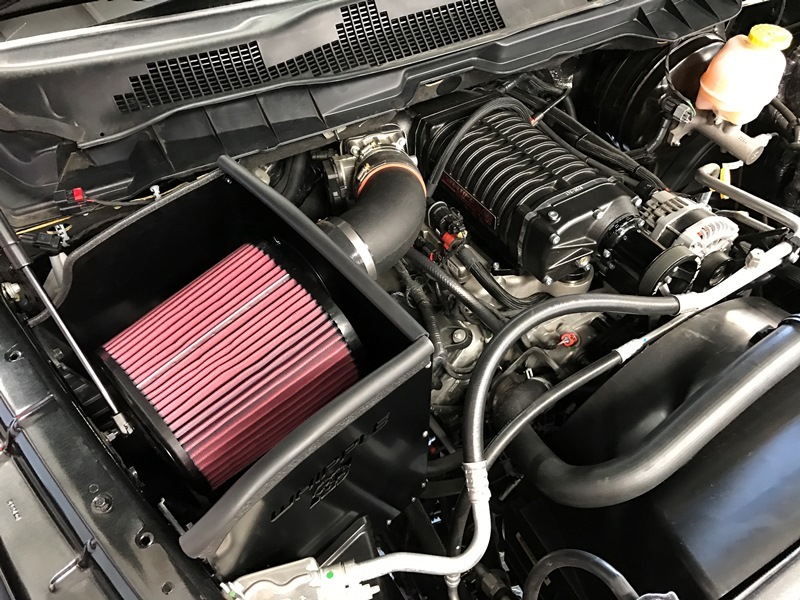 While others try to copy or follow, Whipple continues to develop new superchargers and new systems that not only look like a piece of art, they outperform the competition. The revolutionary 2.9 liter (175 cubic inch) twin screw SC sets a new standard to supercharging. 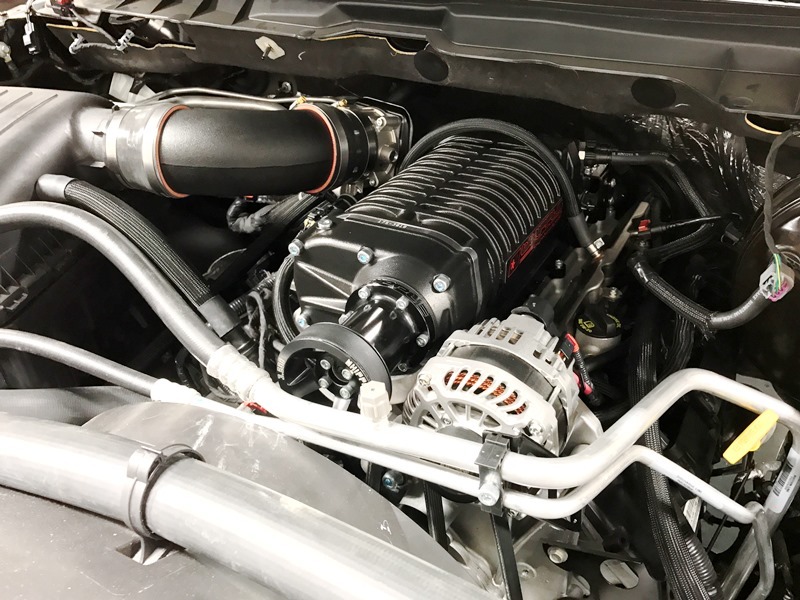 The results speak for themselves, not only does it make the most horsepower of any supercharger system on the market, its fully upgradeable with camshafts, head work, throttle bodies and bigger air systems so you have the ability to go from mild to wild whenever you want. Not all supercharger systems are created equal. Whipple's fit and finish is second to none. Each hose is pre-cut, sheeved and assembled for simple installation. Each electrical connector is plug and play. All factory hose replacements meet 50-state legal emission standards and utilize OEM quick connect fittings. 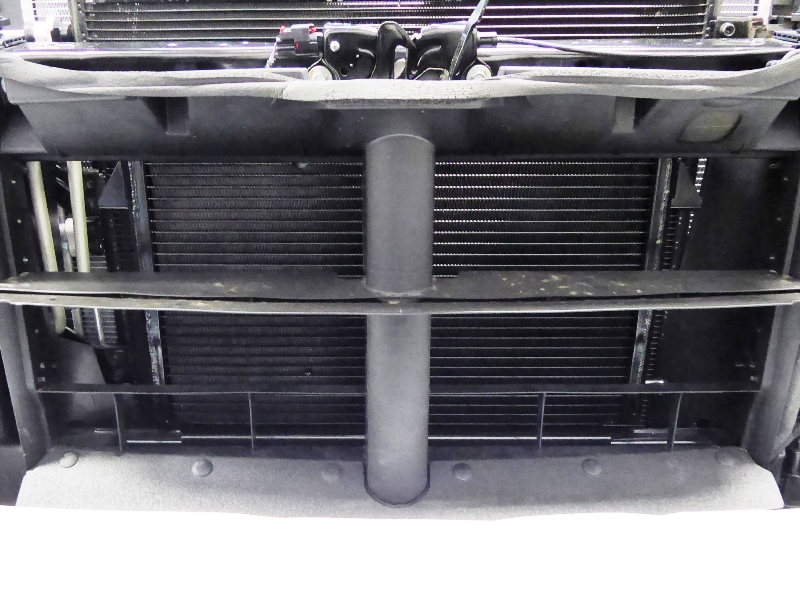 The Whipple inlet system is not restricted by an 81mm inlet system which severely limits your potential power gains. The Whipple SC system uses a unique 102mm round (round flows significantly more than oval or rectangle) inlet for nearly 1600cfm capacity (1000hp). The front inlet casting also features a long tapered turn allowing proper rotor filling, maintaining peak volumetric efficiency levels. Whipple Superchargers offers each supercharger in multiple finish options. The standard finish is a mini-textured black. Whipple also offers a polished finish, marine blue finish and gloss black. Custom colors are available upon request. You then get OEM style fuel and vacuum hoses with nylon sheaving for added protection and appeal, OEM style quick connect fittings with billet aluminum fittings. No ugly brass fittings hanging off the inlet like some others. 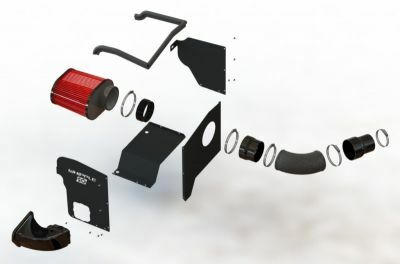 Wire extensions are injection molded to allow simple plug-and-play installations. 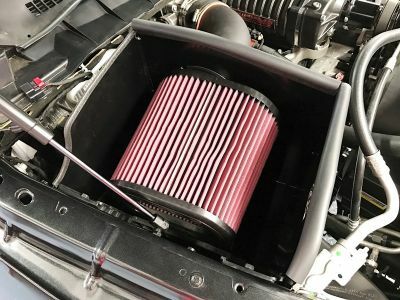 Each system also has built-in capacity for multiple options such as billet high flow throttle bodies, oversized cold air intake systems just to name a few. 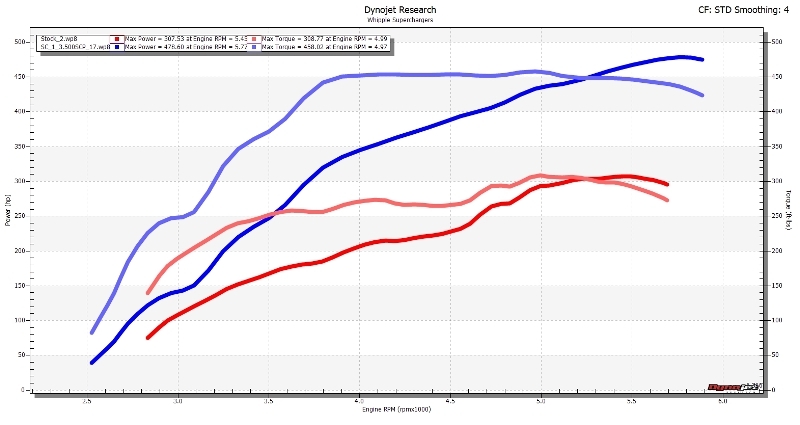 Testing done with 91 octane fuel, normal operating conditions. "Very complete kit and makes my Ram roast 35" tires. Friend and I put on over the weekend, now I can't get enough of it. Well done Whipple!"